Iga City is full of sights that highlight the region’s unique history and culture. This video will feature two of Iga’s most popular sights: Iga Ueno Castle and the Danjiri Museum. Iga Ueno Castle was first built in 1585 and was rebuilt several times in its long history. The main keep of the current castle was built as part of a reconstruction effort that took place in 1935. A walk around this beautiful castle, also known as the White Phoenix Castle, will make you feel like you’ve been transported back in time. Iga Ueno Castle is inside Ueno Park, and there are plenty of things to see around the castle. The castle is surrounded by nature and is a great spot for viewing cherry blossoms in the spring. Visitors can also take photos by the Haiseiden, a building dedicated to the famous haiku poet Matsuo Basho. The castle walls are a marvel in and of themselves, and are some of highest in Japan. It is hard to imagine how the builders of antiquity managed to stack and arrange the stones to such heights. Iga Ueno Castle has three floors, with historical documents on display on each floor. 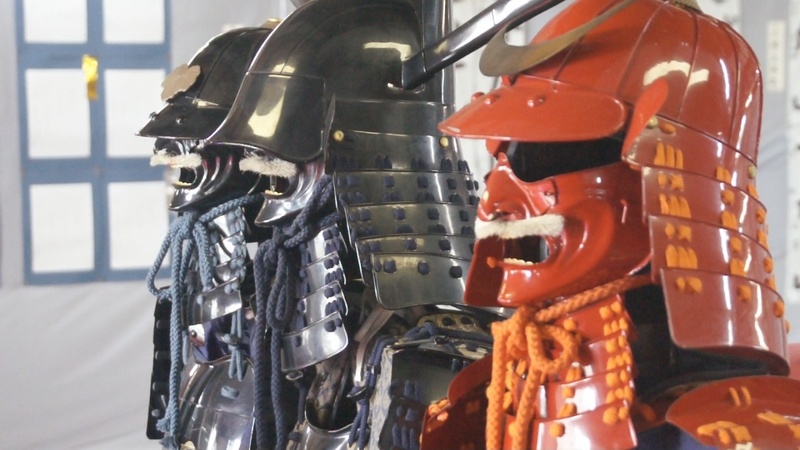 On the first floor, armor and weapons actually used in battle are on display. Visitors can see the intricate details of traditional body armor and battle helmets up close as they walk through the castle. These artifacts were not just tools for self-defense; they were also remarkable pieces of art. Displays on the second floor feature tools, silverware, furniture and art from the Edo Period (1603-1868). Scenes of Edo Period life flash before visitors’ eyes as they wander around this floor. Amazingly, this keep is constructed entirely of wood. From the observatory on the third floor, visitors can look upon stunning views of the surrounding area. The mural on the ceiling of the third floor was created by a famous artist in celebration of the castle keep’s reconstruction. Iga Ueno Castle was designated as a national treasure in 1967, and the castle’s main keep was designated as a cultural property of Iga City in 1985. The castle is the perfect place for a walk or a day out with the family. The Danjiri Museum can be found right next to Ueno Park. This museum houses danjiri, the massive floats used during the Ueno Tenjin Festival that takes place between October 23 and October 25 each year. Lifesized figures wearing masks and traditional clothing are used to recreate the “parade of demons,” the procession that occurs during each year’s Ueno Tenjin Festival. The electric atmosphere of the festival is recreated with a video presentation that uses three large video screens. Visitors can don traditional clothing and take commemorative photos. Local goods and ninja themed souvenirs are also on sale at the museum! 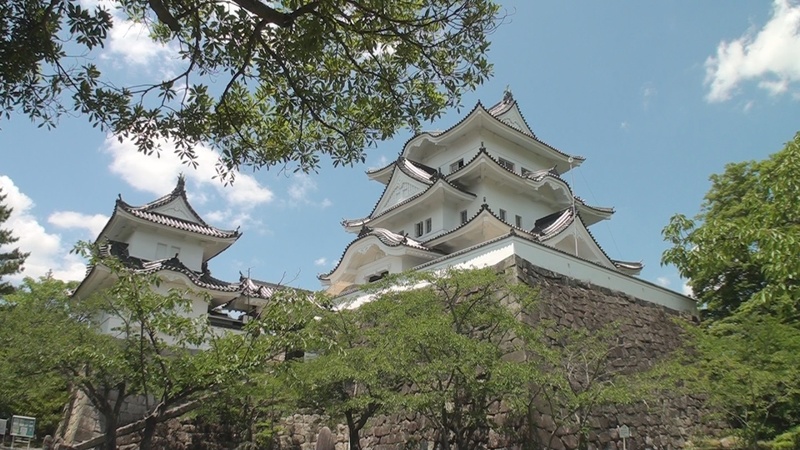 Admission to Iga Ueno Castle is 500 yen for adults and 200 yen for children. Admission to the Danjiri Museum is 500 yen for adults and 300 yen for children. Discounts are available for groups of 30 or more. Special tickets are available for entry to Iga Ueno Castle, the Danjiri Museum and the Iga Ninja Museum. These special combination tickets are 1450 yen for adults 800 yen for elementary and junior high school students, and 500 yen for children ages 4 to 12. 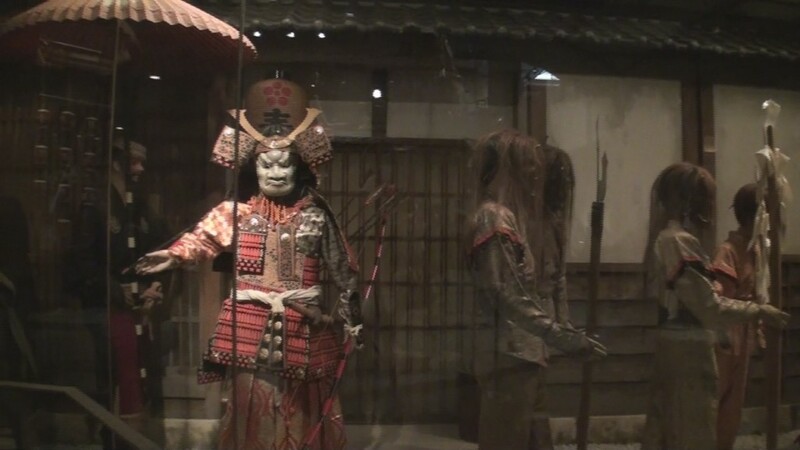 Those visiting the Danjiri Museum can have their picture taken while wearing a ninja outfit. Pictures are 200 yen each and take about 20 minutes to process. For 1000 yen, visitors can also borrow a ninja outfit for the day and walk around Iga. Operating hours for Iga Ueno Castle and the Danjiri Museum are 9:00AM to 5:00PM. 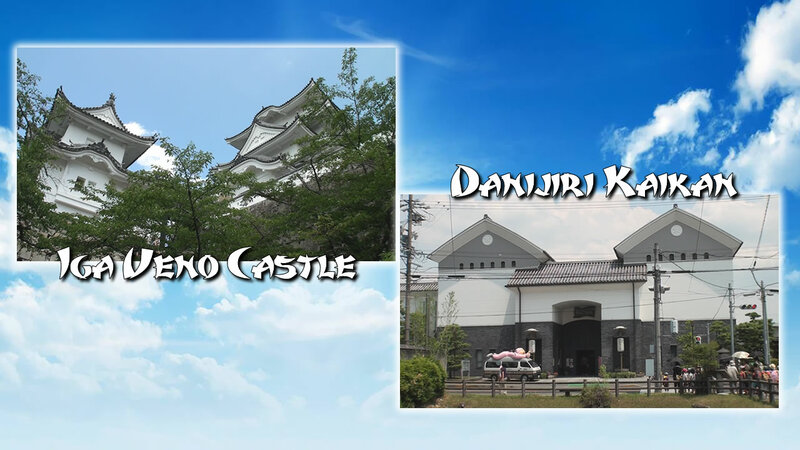 Iga Ueno Castle and the Danjiri Museum are located in the center of Iga City. Visitors arriving by train should take the Kintetsu Osaka Line to Iga Kanbe Station and transfer to the Iga Railway. Both Iga Ueno Castle and the Danjiri Museum are a 10 minute walk from Uenoshi Station on the Iga Railway. Visitors arriving by Japan Railways (JR) should transfer to the Iga Railway at Iga Ueno Station or take the bus to Uenoshi Station. Visitors arriving by car should take the Meihan National Road bound for Osaka. Visitors can either take exit 13 (the Nakase IC) and head west on national road 163, or take exit 15 (the Ueno Higashi IC) and head north. The Iga Ueno Castle and the Danjiri Museum are 5 minutes from both exits.